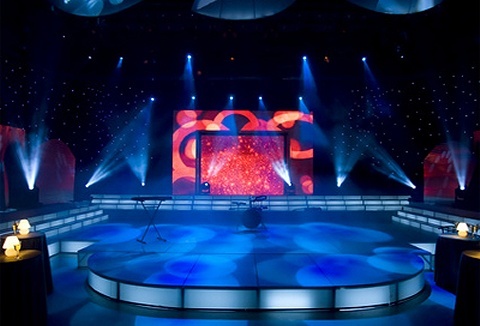 We specialise in the hire of professional sound, lighting and staging equipment to the entertainment industry. We provide a high quality, no compromise service complemented by the very latest industry standard equipment. Competitive rates are available. We provide stages and platforms that provide a focal point at any event and come in all shapes and sizes, they can be simple raised platforms or elaborate productions complete with laser lights and a sophisticated sound system for all types of events. We specialise in providing event staging and stage roof structures along with bespoke technical event production services for events. We can supply and build tiered seating, choir podiums, steps, catwalks and fashion runways to stages and rolling risers. 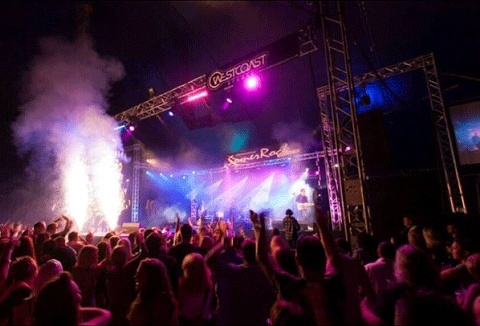 Mobile stage hire is an effective way to take an empty space and shape it into a polished venue! Compact with a big impact, we are able to fit almost anywhere that a lorry can to bring you an event experience to remember and the perfect event for you. 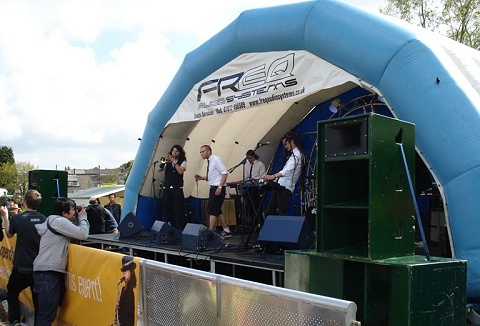 We offer a wide range of indoor and outdoor stage hire, plus steps, handrails, ramps and disabled viewing platforms. 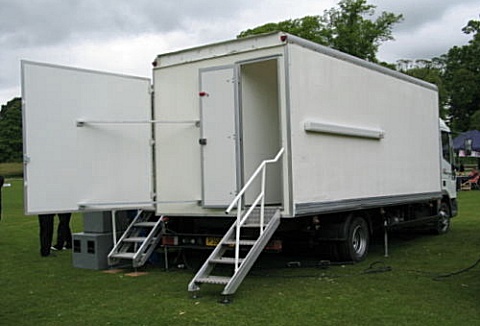 For outdoor events we have a mobile trailer stage that opens to a 20' x 16' performing area. We can create the right stage for your event.